teddy Archives - All Chucked Up! I sincerely believe the Filipino people has had enough false promises and undelivered commitments from past politicians. Too much grandstanding and lack of concrete action by more than a handful of people in the goverment has become a common thing already. Aren’t we all sick and tired of it? It’s high time we choose wisely and choose carefully. Scrutinize the candidates and find out who among them truly has our best interests at heart. 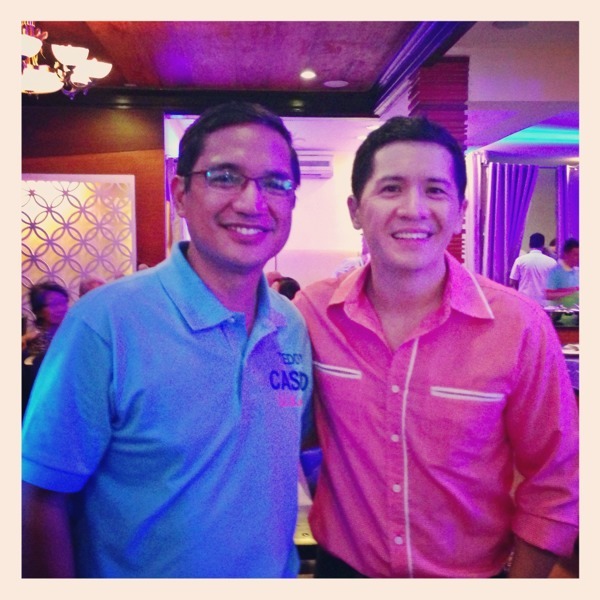 Was with Senatorial candidate, Teddy Casiño, during his Pre-Valentine Benefit Dinner at Casa Filipino, Quezon City last night. It was great hanging out with him and his wife. Awesome evening. You can check out Teddy’s Facebook page by clicking here.